Soranib (Generic Nexavar tablets ) is a kinase inhibitor prescribed for the treatment of advanced liver cancer (hepatocellular carcinoma), advanced kidney cancer (renal cell carcinoma) , or thyroid cancer (differentiated thyroid carcinoma). Soranib tablets are manufactured by Cipla Ltd. in the strengths of 200 mg.
We also have in stock Exemestane tablets (Aromex) which are prescribed as oral therapy for breast tumors which are dependent on estrogen for their growth and survival in the body and in tumors where treatment with other anti-cancer drugs such as tamoxifen for two-three years has failed. We supply original Soranib tablets manufactured by Cipla Ltd.. The active ingredient present in Soranib tablets is Sorafenib Tosylate. Each Soranib tablet contains 200 mg of Sorafenib Tosylate. Soranib is used to treat a type of kidney cancer called advanced renal cell carcinoma. It is also used to treat liver cancer. It is a chemotherapeutic medication that interferes with the growth and spread of cancer cells in the body. Please note that the packaging has changed from 20 tablets to 30 tablets. Brand and manufacture remains the same (Soranib by Cipla). The recommended daily dose of Soranib tablets (Sorafenib)is 400 mg (2 x 200 mg tablets) taken twice daily without food (at least 1 hour before or 2 hours after a meal). Treatment with Sorafenib should continue until the patient is no longer clinically benefiting from therapy or until unacceptable toxicity occurs. Take Sorafenib Tosylate tablets exactly as prescribed by your doctor. Do not take in larger or smaller amounts or for longer than recommended. Take Generic Nexavar tablets on an empty stomach, at least 1 hour before or 2 hours after eating. Do not crush, chew, or break the tablet. Swallow it whole with water. Your blood pressure will need to be checked often to be sure this medication is not causing harmful side effects. Visit your doctor regularly. If you need surgery or dental work, tell the surgeon or dentist ahead of time that you are taking this medicine. You may need to stop taking the medicine for a short time. Soranib tablets are contraindicated in patients with a hypersensitivity to Sorafenib Tosylate or any inactive ingredient present in Soranib tablets. Soranib tablets in combination with carboplatin and paclitaxel are contraindicated in patients with squamous cell lung cancer. There is no specific treatment for Soranib overdose. The highest dose of Sorafenib studied clinically is 800 mg twice daily. The adverse reactions seen at this dose were primarily diarrhea and dermatologic. No information is available on symptoms of acute overdose in animals because of the saturation of absorption in oral acute toxicity studies conducted in animals. In cases of suspected overdose, Generic Nexavar should stopped and supportive care instituted. 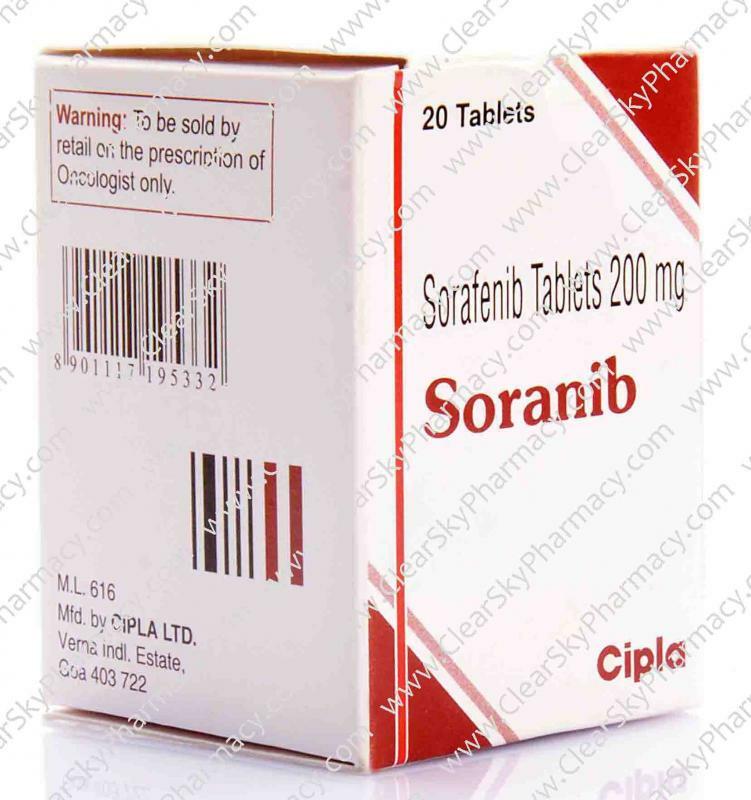 The most common Sorafenib side effects occurring in 20% of the patients undergoing treatment with this medicine, which were considered to be related to Sorafenib (Soranib tablets), are fatigue, weight loss, rash/desquamation, hand-foot skin reaction, alopecia, diarrhea, anorexia, nausea and abdominal pain. Get emergency medical help if you have any signs of an allergic reaction including: hives, difficult breathing, and swelling of your face, lips, tongue, or throat. Overdose symptoms may include severe diarrhea or severe skin rash. This is not a complete list of side effects and others may occur. Call your doctor for medical advice about side effects. You should not use Generic Nexavar (Sorafenib Tosylate Tablets) if you are allergic to Sorafenib (the active ingredient) or if you are pregnant or breast-feeding. This medicine can cause harm to an unborn baby. This medicine may cause injury and even death to the unborn baby if you take it during the second and third trimesters of pregnancy. Do not use this medicine without your doctor's consent if you are pregnant. Use an effective form of birth control. Stop using this medication and tell your doctor right away if you become pregnant during treatment. It is not known whether this medicine passes into breast milk or if it could harm a nursing baby. Do not use this medication without telling your doctor if you are breast-feeding a baby. Sorafenib has been classified by the US FDA as Pregnancy Category D.
Based on its mechanism of action and findings in animals, Generic Nexavar can cause fetal harm when administered to a pregnant woman. Sorafenib caused embryo-fetal toxicities in animals at maternal exposures that were significantly less than the human exposures at the recommended dose of 400 mg twice daily. There are no adequate and well-controlled studies in pregnant women undergoing treatment with Sorafenib tablets. Do not use this medicine without your doctor's consent in case you are pregnant. Stop using this medication and inform your doctor immediately if you become pregnant during treatment. It is not known whether Sorafenib is excreted in human milk. Because many medicines are excreted in human milk and because of the possibility for serious adverse reactions in nursing infants from Generic Nexavar (Soranib tablets), a decision should be made whether to discontinue nursing or to discontinue Sorafenib tablets, taking into account the importance of the medicine to the mother. You can buy Generic Nexavar tablets online from Clear Sky Pharmacy at a cheap price. 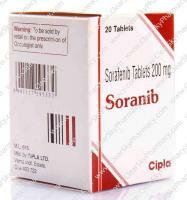 Soranib 200 mg pills, manufactured by Cipla Ltd., India are supplied in a bottle of 30 tablets. 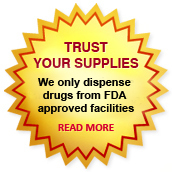 The 200 mg tablets cost only $3.78 per unit when you place an order for 180 tablets.